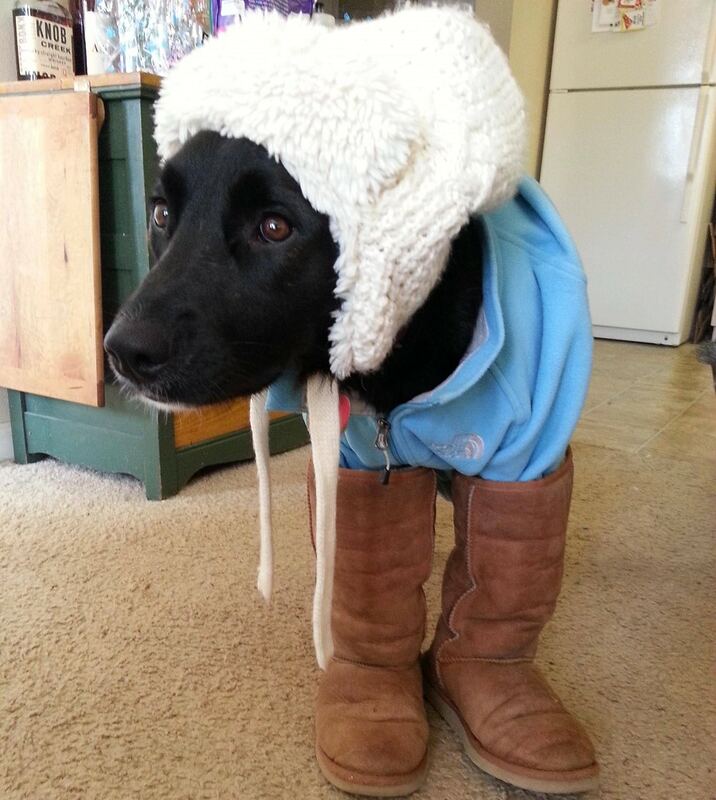 Well, this is the last time that this pet owner leaves his dog with his girlfriend for the afternoon. Couldn’t she think of anything smarter to do with her time then dress him up in a goofy white hat, blue jacket, and leather boots? Even the dog doesn’t look very happy about it.